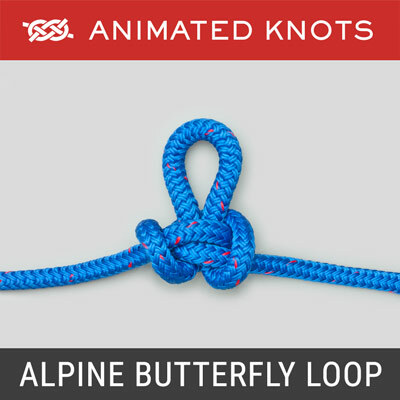 With a bight in one side of a loop, fold down a second bight from the the other side. Tuck the second under the first to create a new bight. Pass the distant end of the big loop under this new bight. Pass the other end under the original bight. Uses: It is widely recommended for carrying a bottle and parachute cord is probably the preferred line for making a Bottle Sling. Alternative Methods: The method shown here is either not widely known or not known at all. I devised it after trying the various methods recommended on line. Contributors confessed to having difficulty remembering or tying their chosen technique. Ashley himself wrote: “If you haven’t succeeded in achieving position 3, repeat from the beginning and it will probably fall into correct form.” My own (poor) success rate prompted a search for an alternative method. I now find the method animated here to be the easiest (of course!) but I expect that others who have mastered their own technique will take pleasure in shunning this. 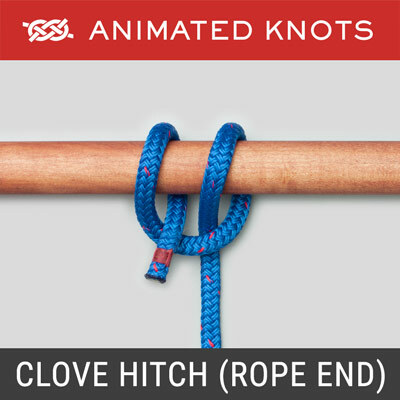 The most popular of the other methods would appear to be Ashley’s method and the Engelsk Sӓck-knop or Jug Sling Hitch . For an interesting discussion visit the IGKT Forum. 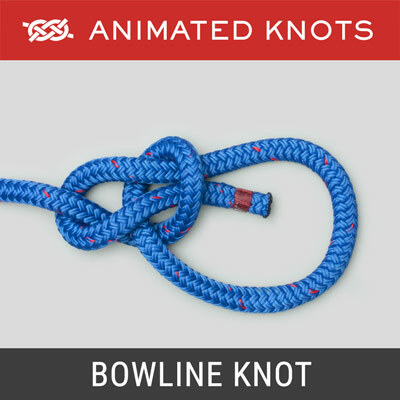 Tying the Bottle Sling: Rope does not arrive in a loop so either the Sling must be tied with one side of the loop “open”, or the ends are joined using, for example, a Double Fisherman’s. The two final lifting loops are likely to be of different sizes. One suggestion is to use Asher’s Equalizer. 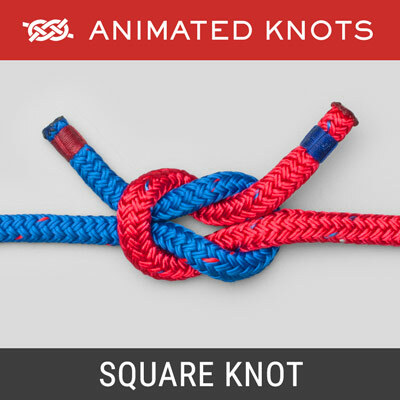 However, here’s a simpler solution: make the sling with a Square Knot. 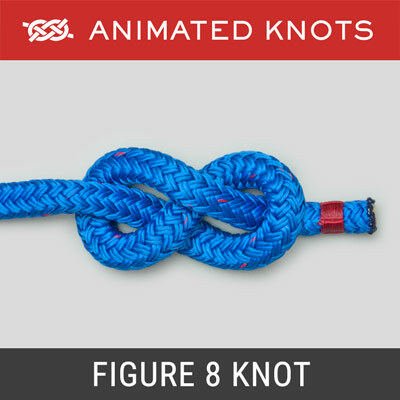 When complete, undo the Square knot and pass one end through the opposite loop. 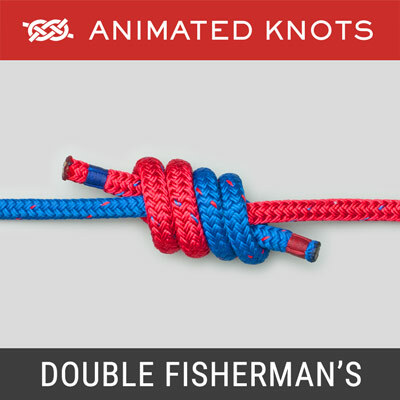 Then, join the ends again using the Double Fisherman’s. Moving to the Next Bottle: The Bottle Sling can be loosened and transferred to another bottle leaving the Double Fisherman’s still tied.